He’s not the fastest. He’s not the biggest. He’s certainly not the most skilled. Yet, in the 100-plus year history of the National Hockey League, no Minnesota-born player has scored more goals than Zach Parise. Earlier this season for the Minnesota Wild, Parise overtook Hall of Famer and South St. Paul native Phil Housley. Then, on Nov. 17, 2018, Parise scored his 341st NHL goal against the Buffalo Sabres, leapfrogging Warroad’s Dave Christian, for No. 1 all-time. And he’s not done yet. Far from it. So how does somebody who might not be the fastest, biggest or most skilled stand ahead of such stars like Housley, Christian, his hockey hero, Neal Broten from Roseau, and Moorhead’s Matt Cullen in a lot fewer games (906) played? Plain and simple, nobody works harder than Parise. And that should be a valuable lesson for all kids out there who one day aspire to make the NHL. 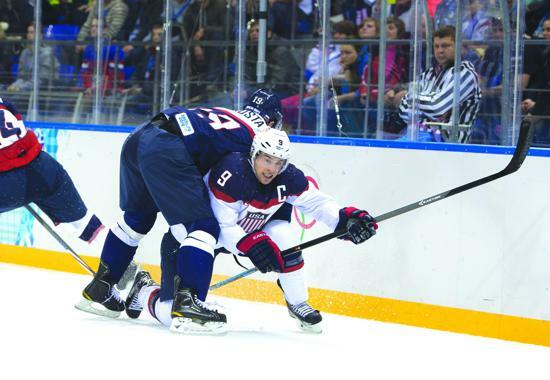 I sat down with Parise to learn more about what has shaped his hockey career. RUSSO: I'm sure every goal scorer wants to be the guy that streaks down the wing and scores the dipsy-doodle goal. Your style, scoring most your goals within a few feet of the blue paint, when did you discover your niche and realize that’s what you’re best at? PARISE: When I started in New Jersey, I was a center. The way I played in college at the University of North Dakota, it might be hard to believe but I always considered myself a passer. In college, I was a disher. And, then, when the Devils switched me to wing, I remember (GM) Lou (Lamoriello) and I remember the assistant coach saying, ‘You need to shoot the puck. You gotta shoot the puck.’ I started to shoot a little more, and I just kind of figured out that I just wasn't blessed with the shot that's going to beat goalies clean more often than not. So I just found that all my goals came from within five feet of the net, and I was continually getting those types of chances, so you just kind of find ways to get there, assuming the puck’s going to get there. And then I worked a lot on deflections and getting rebounds and it just kind of stuck with me. RUSSO: How much did you teach yourself or learn body position because obviously you're going up against defensemen like Big Buff and these giant defensemen that you're probably not going to be able to outmuscle, yet we look at you and the way that you can get stick position and body position and things like that, where did you learn that and how much work did it take? PARISE: Yeah, I've probably been one of the smaller ones all the way up. You kind of learn how to play that style. My dad was always big on telling me that, like, ‘You're not gonna outmuscle these guys, you’ve got to learn timing, you’ve got to learn how to get in and out.’ And there's a way you can get really close to the defenseman so he's not allowed to extend his arms and push you away. I mean, if you're in so tight he can't really push you if that makes sense. Just trying to get in and out and sometimes it’s just getting lost. But I remember my dad always telling me that, just little tricks like that around the net. RUSSO: Same thing behind the net. It's unbelievable when you see a loose puck how you're able to stick check a guy, or lift a guy’s stick or use body position to come away with that puck. That also is a learned asset, right? It's almost defensive hockey in the offensive zone? PARISE: Yeah, and I think I picked that up honestly skating a lot of open-ice pickup games down at Shattuck-St. Mary’s. We had access to the rink whenever we wanted, so we'd always be playing 3-on-3 games or whatnot. And it was pretty cool how much better guys got at stick work. This is when they allowed hooking and holding. We got so good at learning how to can-open people and strip people of the puck and how to knock pucks out of the air. You couldn't get a saucer pass through anybody. Everybody was that good at knocking it down. I think it was just from us continually playing those small 3-on-3 pickup games. RUSSO: You gave such courage on the ice. If you're an undersized guy, how much guts does it take to play your style and how hard is it to learn to absorb the pain that comes with playing in front of the net? PARISE: Yeah, kids should put a couple extra pads on. I did that to try to absorb some of the sticks. It hurts. I mean, there's a lot of times that you get the cross-checks in the arm and the back and the slashes in the back of the leg. But at the same time it's rewarding when you get the chances and you get the goals from around the net. You try and stay away from it at the same time like I said with timing, and a lot of times you just get lost. No one wants to get a stick in the back, so you try and avoid it as much as you can. RUSSO: You played multiple sports as a kid. Do you think that's important for young kids? RUSSO: What were your favorites? PARISE: Baseball, tennis. I was a shortstop and catcher. Loved it. RUSSO: How important is fitness and food, both in your younger years and especially now that you’re 34 and getting older? 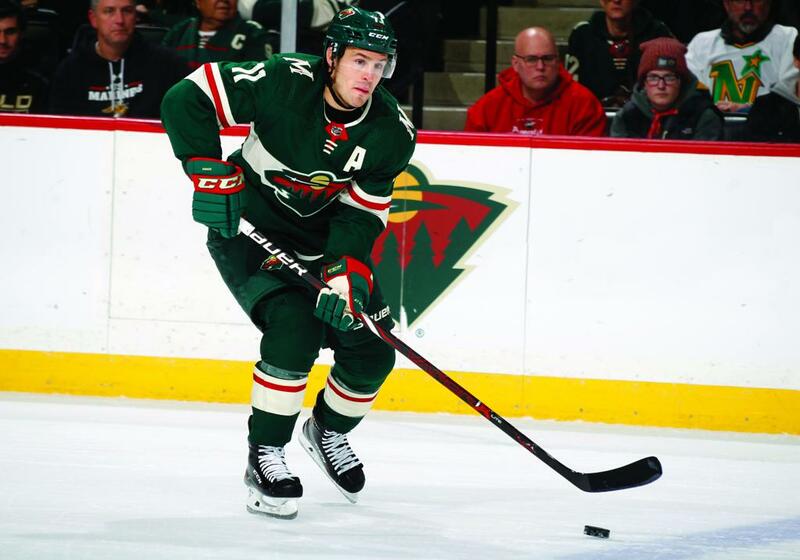 PARISE: I think it's really important. I think it's becoming more and more important. Guys are learning more and more about it. There's always that odd case where you got teammates, they can eat whatever they want, it doesn't affect them one way or another. But I've always felt like, especially now, as I get later in the career, you’ve got to pay attention more to the weight and your conditioning and what you're putting in your body. With our travel and back-to-backs, you can't just eat crap because you'll crash. You will crash and you learn as you play longer. RUSSO: What are your go-tos, like any foods that you will totally stay away from or foods that you find make you perform better? PARISE: I try to stay away from sugar as much as I can. I don't drink pop. I don't eat fast food or anything. I would say this year more than any other year I'm kind of eating a bunch of different types of food. I used to be so much, like, night before games, steak and pasta, steak and pasta. This year more than anything, I’ve just kind of been all over the map. Still eating healthy food, but kind of all over the map. RUSSO: What kind of student were you? PARISE: I was a good student in high school and Tom Ward was really on us for that, about our GPAs. He got on me one time, I remember, about grades, but I was always good. For me it wasn't natural, it was more like I gotta study. And I’m glad I did. RUSSO: To see your name above all Minnesotans in goal scoring, as a kid, could you have ever imagined that you were going to grow up and become this? PARISE: I would say I was always hopeful. I think I was always pretty determined, but you never know. The odds are grossly against making it, so I worked hard. But I never really … I guess you never really expect that to happen. It's rewarding. And I do think I can be an example where if kids strive to do something, they can do it. I’m not the fastest, biggest or most skilled, yet through hard work, determination, luck, I was able to make it. Michael Russo is in his 14th season covering the Wild and writes for The Athletic. He has covered the NHL since 2005. He co-hosts the Russo-Souhan Show on talknorth.com, can be heard on KFAN (100.3-FM) and seen throughout the hockey season on Fox Sports North. Follow Russo on Twitter at @RussoHockey. Please consider a subscription to The Athletic. For a 30 percent discount ($3.49 per month), go to theathletic.com/michaelrussohockey. If you’re a student, you can get 50 percent off ($2.50 per month) at theathletic.com/student.